Welcome to Music Friday when we bring you awesome songs with jewelry, gemstones or precious metals in the title or lyrics. 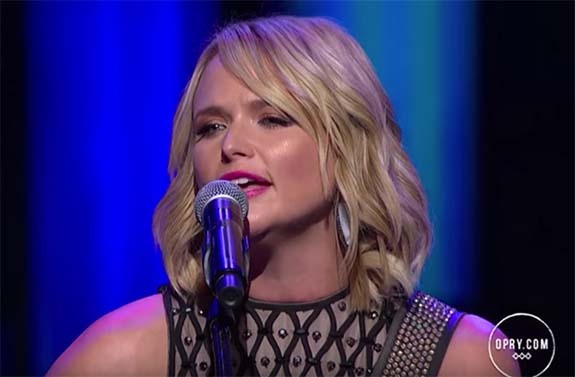 Today, country star Miranda Lambert stares down at her engagement ring and confesses a deep, dark secret in the 2011 ballad, "Dear Diamond." The song's protagonist has cheated on her husband and she fears that her once-flawless marriage could be torn apart. She asks her diamond ring for clarity. If she confesses her indiscretions, she'll break his heart. If she doesn't, the guilt will haunt her. She sings, "Dear diamond, pretty and new / Perfectly flawless, too good to be true / Dear diamond, you shine like the sun / You wrap around my finger just like he does / You cost more than he wanted to lose / And with this ring I said I do / I promise to never do what I've done / I've lied to someone." Lambert explained the origins of the song in an interview with CMT.com. Apparently, the characters in the story are fictional. "Dear Diamond," which features the haunting harmonies of country and bluegrass singer, Patty Loveless, is the sixth track from Lambert's Four the Record album. Lambert told Rolling Stone magazine that Loveless was one of her heroes and that the collaboration was really special to her — "a dream come true." With more than one million records sold, Four the Record reached #1 on the U.S. Billboard Top Country albums chart and ascended to #3 on the U.S. Billboard 200 albums chart. It also placed as high as #12 on the Canadian Albums chart. Born in Longview, Texas, in 1983, Lambert became interested in country music after a attending a Garth Brooks concert as a nine-year-old. Lambert made her professional singing debut with "The Texas Pride Band" while she was still in high school. She also performed with the house band at Reo Palm Isle in Longview, Texas. In 2003, Lambert placed third in Nashville Star, country music's version of American Idol. Her first album, Kerosene, made its debut at #1 on the Billboard Top Country Albums chart. In April 2017, Lambert won the ACM Award for Female Vocalist of the Year for a record eighth consecutive year. She also has won two Grammy Awards out of 12 nominations. Written by Miranda Lambert. Performed by Miranda Lambert, featuring Patty Loveless. Dear diamond, what will we do? Diamond lovers are in for a big treat later this month as Sotheby's New York will present an impressive array of rare gems at its Magnificent Jewels sale. 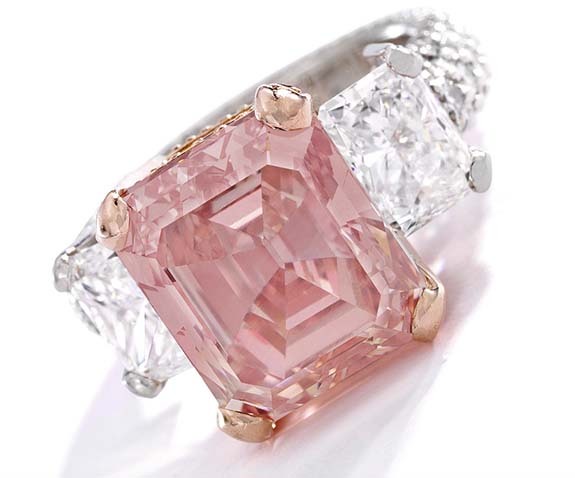 Among the headliners of the April 18 event are fancy-colored diamonds in pink, orangey-pink and blue, as well as a D-flawless pear-shaped diamond weighing in excess of 33 carats. 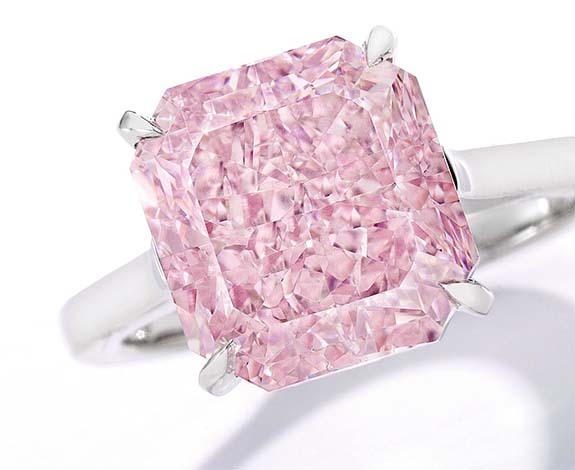 Carrying a pre-sale estimate of $4.2 million to $5.2 million is the auction's top lot — a fancy intense pink diamond weighing 7.01 carats. The natural-color, square-cut diamond has a clarity of SI2 and is set in a simple four-prong ring. A D-flawless, 33.25-carat pear-shaped diamond is the star of a gorgeous pendant necklace that carries a pre-sale estimate of $4 million to $5 million. 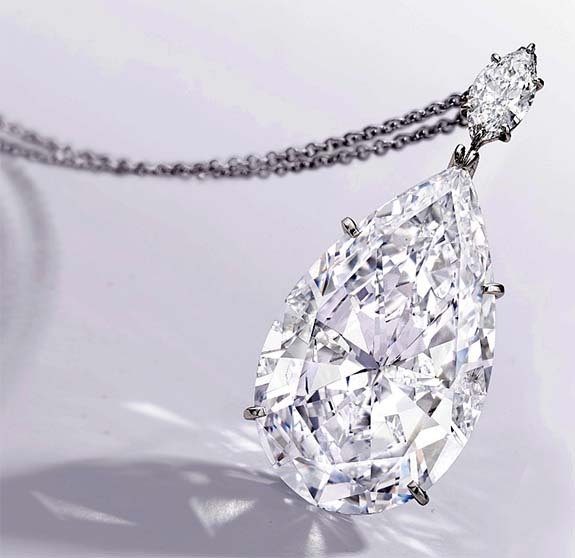 The pear-shaped stone, which carries the ultra-rare Type IIa purity grade, is topped by a marquise-shaped diamond weighing approximately 1.00 carat. A fancy intense orangey-pink diamond weighing 7.37 carats and accented by two emerald-cut diamonds is expected to fetch between $3 million and $5 million. The unusual natural-color diamond boasts a clarity of VS1 and is set in a ring that's embellished with near-colorless and pink diamonds. 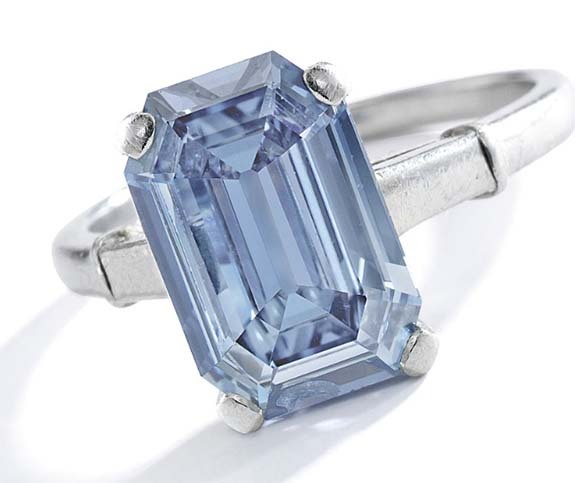 Rounding out the highest-profile lots at Sotheby's is this rare fancy intense blue diamond weighing 3.47 carats. Entering the sale with a estimated price range of $2 million to $2.5 million, the cut-cornered rectangular step-cut gem is secured with four prongs on a simple white metal band. Sotheby's New York will be hosting previews of these and many other sale items, starting on April 13. 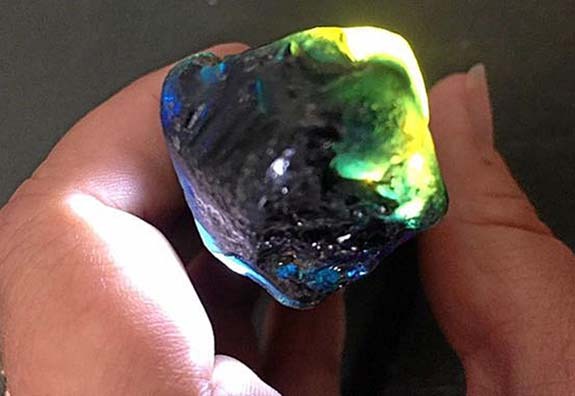 An amateur prospector stumbled upon a rare 141-carat "parti-colored" sapphire in the Gemfields region of Queensland, Australia, last week, and the find is likely to make him at least $23,000 richer. The unusual stone — also known as "polychrome sapphire" — displays a range of colors, from rich blue to vivid green to bright yellow. Australia had been a world leader in sapphire production for more than 100 years, with the industry peaking in the 1980s. Today, the Sapphire Gemfields have become a mecca for tourists looking for a little adventure and an opportunity to find a gemstone of their own. Most of the commercial mining operations have closed down, but some of the once-rich territory is open to "hand fossicking." Amateur prospectors have honed their "specking" skills, which is essentially walking through the bush with the eyes focused on the ground. What they're looking for is any small change of color or a hint of sparkle, where the sun may catch the edge of a partly submerged, but often dusty, gem. “For this lucky specker, it was all about being in the right place at the right time,” Central Highlands Tourism Development Officer Peter Grigg noted on the Discover Central Highlands Facebook page. “There had been considerable rain a week or so before, and there it was lying tantalizingly within reach on the surface of the ground," Grigg wrote. Grigg explained that the 141-carat sapphire is crystal clear and in its current rough form is likely to fetch upwards of AUD $30,000 ($23,046). "Parti-colored" sapphires can display two or three distinctive colors, depending on the trace elements present when the crystal originally formed. The transition from one color to another in a gemstones is called "zoning." “I find it amazing that after 100-plus years of people scratching around in the ground at the Sapphire Gemfields, stones of this quality continually pop up,” Grigg added. Tourists and amateur prospectors are more likely to visit the Gemfields during the cooler months from March through September. "It is well worth the trip, because you never know your luck," Grigg told the Gladstone Observer. "One thing, though, no one will ever find a sapphire sitting on their couch at home." Credit: Image via Facebook/Discover Central Highlands Qld.